Lyft’s beauty is way more than skin deep. 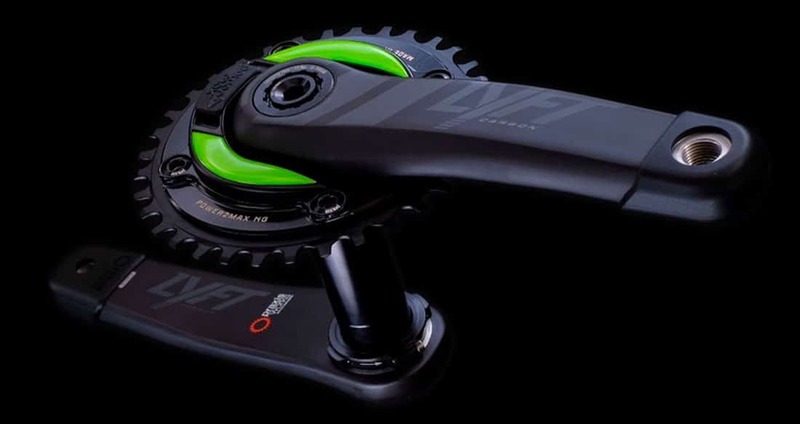 Its stiff sculpted hollow-carbon arms with massive M30 THRU spindle maximize pedal power. 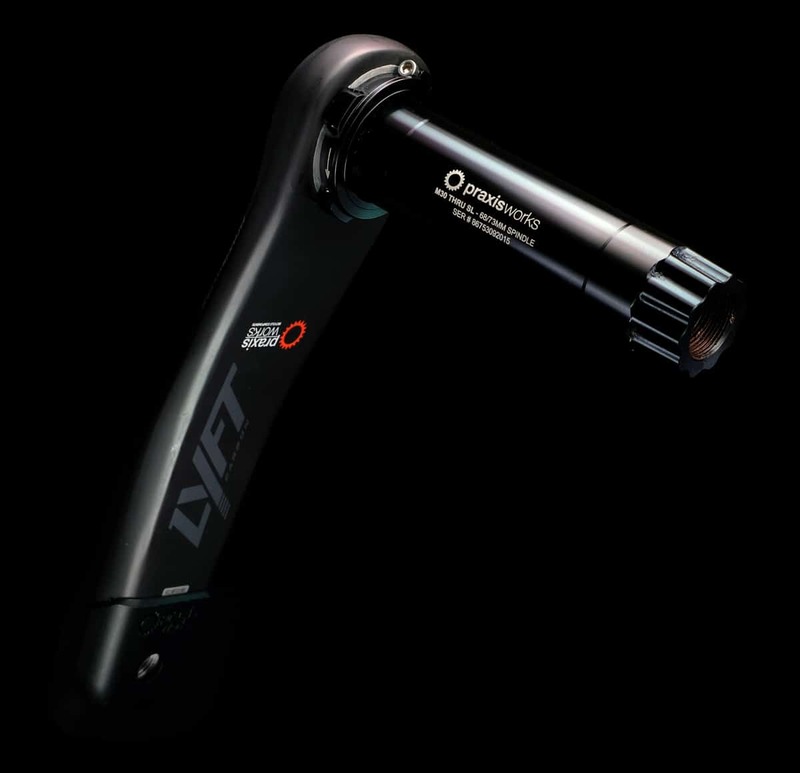 Plus, with its positive, easy on/off 3-bolt direct-mount ring interface it tips the scales at a feathery 454 grams. 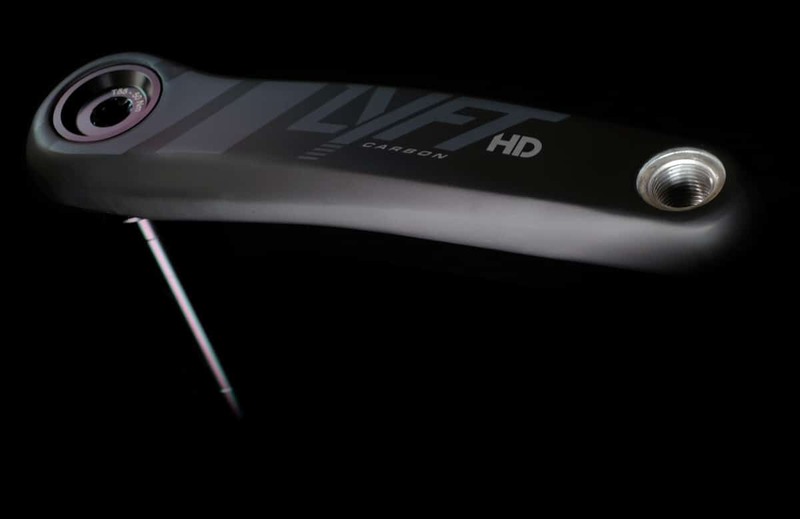 Riders needing a little extra oomph may opt for our “Heavy Duty” Lyft that rocks a more robust hollow-carbon layup plus a beefier M30 THRU spindle. Go ahead, give it your best shot. No detail is too small for this one. 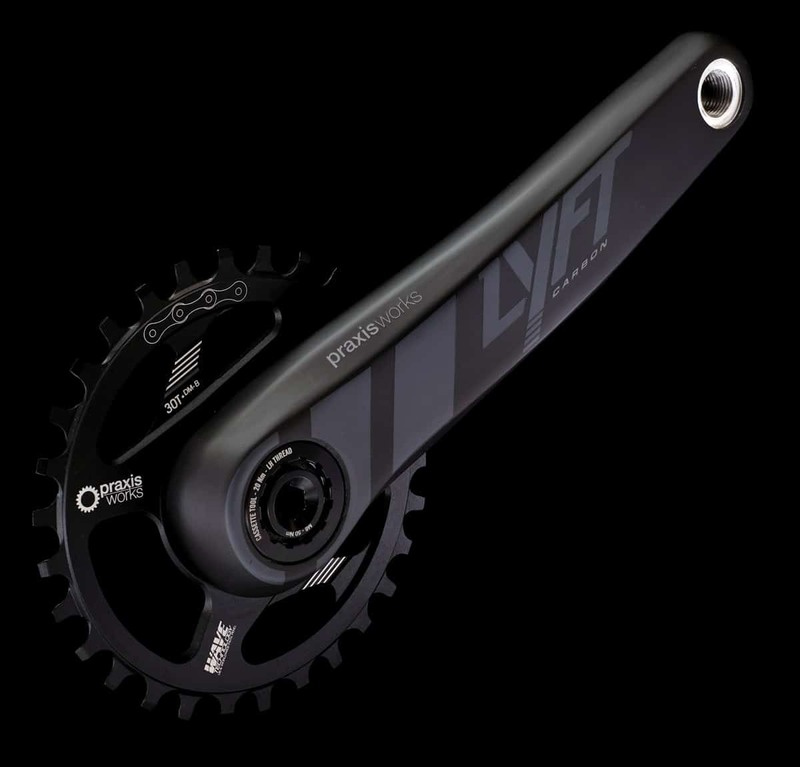 The LYFT uses our M30 THRU spindle for instant response, and a bearing preload ring from machined-aluminum with a 2.5mm hex pinch screw. Where others in this category use plastic and tiny bolts, we wanted to put some icing on this cake. With the M30 THRU spindle, we offer M30 THRU bottom brackets for a multitude of frames. 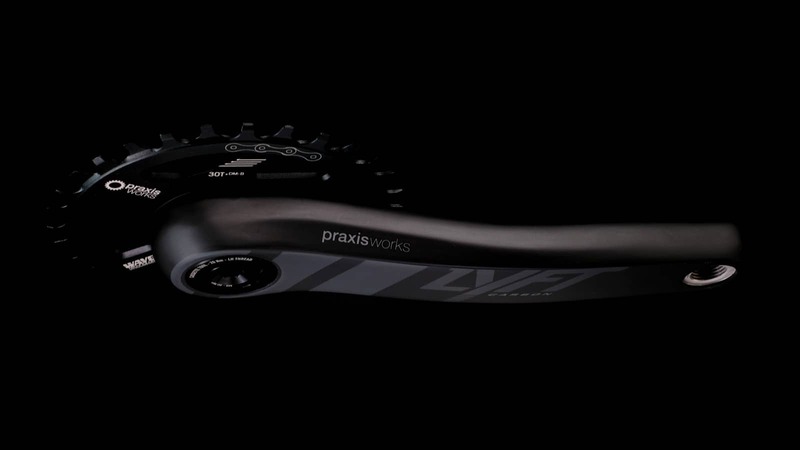 Whether your frame spec is BSA, BB30, PF30 or BB90/92.. there’s a silky-smooth long-lasting Praxis BB to fit. Steel and Ceramic options offered. Running Boost? Non-Boost? Both? Praxis Wave Tech direct-mount rings come in all flavors. 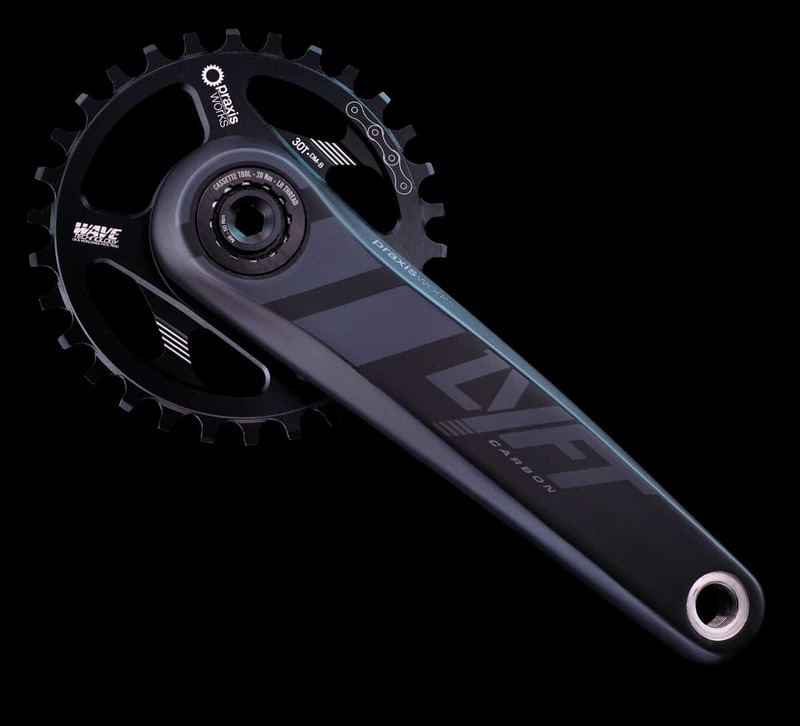 Choose the DM-B for Boost, DM-A for Non, then pick from 30, 32, 34, 36T and get ready for pedaling perfection. 10/11 and 12sp compatible. 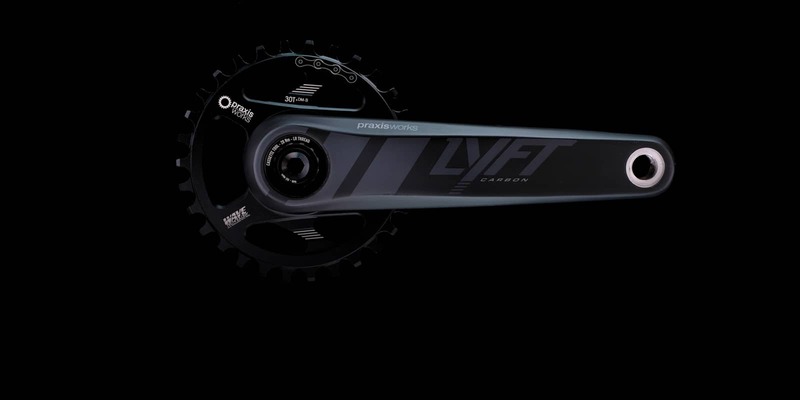 We know training with power is important, and having options is key. 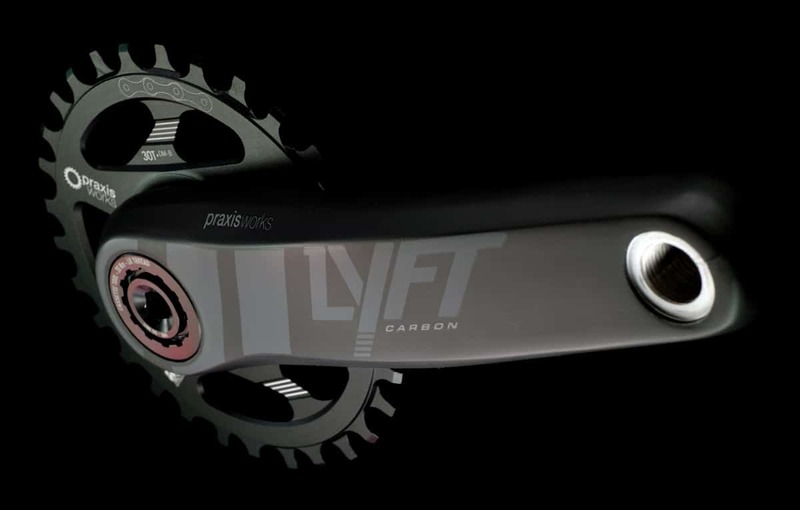 Thanks to the Lyft’s 3-Bolt direct-mount interface, trail riders can easily mount aftermarket spider-based power meters from companies like SRM or Power2Max.